CLEVELAND– “When in doubt, shoot” was the motto J.R. Smith came into Cleveland with three seasons ago. This year, it seemed as if that motto was put out to pasture. Coming into The Cavaliers’ 115-108 win against the Indiana Pacers on Friday night, not only was Smith averaging just 7.4 points per game, (his lowest scoring mark since his second year in the league) he was only averaging 7.2 field goal attempts, the second-fewest of his career. The calls to bench the sharpshooter have been coming for weeks from fans and talking heads alike as a result of his lackluster performance on both ends of the floor. 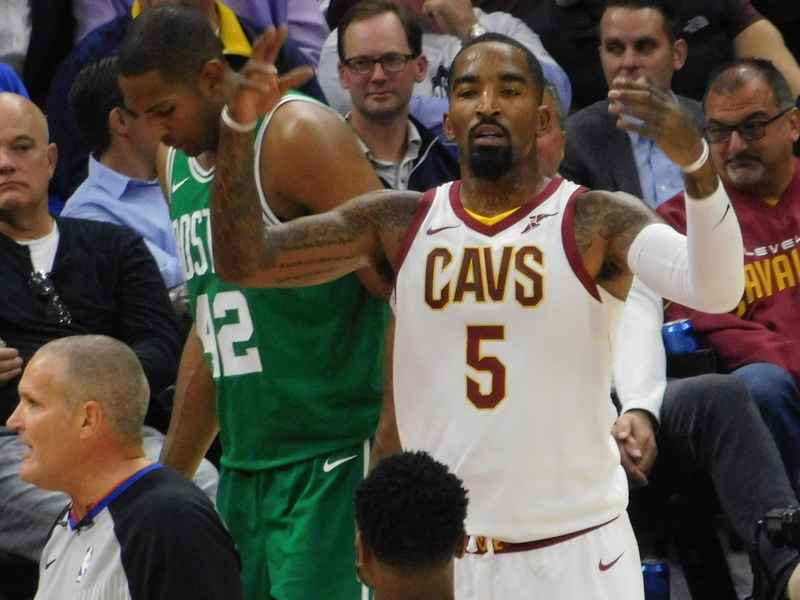 But Friday night, Smith made it clear that he still has the potential to be the x-factor the Cavs need by seemingly adopting his old philosophy en route to a 23-point performance. Smith finished the night second only in scoring to LeBron James (26 points), shooting 8-of-15 from the field and 7-of-13 from deep. The seven three pointers are the most Smith has put up in a single game since April 9, 2016. His 23 points were also a season-high, a scoring mark that he has not hit since Dec. 13, 2016. Smith said he came in early to work on his shot with assistant coaches Phil Handy and Damon Jones. He also said that Kyle Korver has been helping him as he continues to watch film from over the past two years to try and figure out what he can do differently to turn his season around. One big thing stood out to him, watching that film. While physically getting up those shots is important for him to have success, going in there with that killer instinct from deep is arguably even more so with a player like Smith. His teammates and coaches have continued to get after him when it comes to looking for his shot, even as he has continued to struggle. While Smith got back to his roots on the offensive end, he was also instrumental on the defensive side of the ball, recording a season-high four steals in his 37 minutes. For head coach Tyronn Lue, that was arguably the most noteworthy part of Smith’s night. One good game doesn’t make a season, but Friday night was still meaningful for Smith in more ways than one, a fact that his teammates recognize. Whether Smith’s performance on Friday is just a one-off good game in a bad year remains to be seen. But hopefully, given the results, Smith’s old motto will be ringing in his head the next time he takes the court on Sunday when the Detroit Pistons come to town.